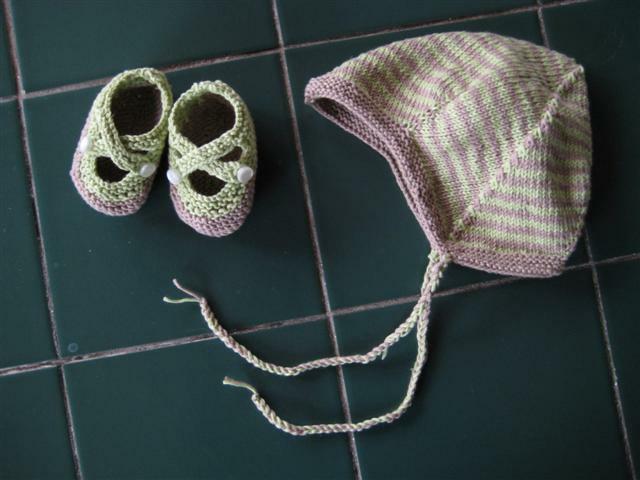 I made the Sweet Baby Cap and Saartje’s Bootees [pdf] for a baby shower my mom was going to. The yarn is Dalegarn Stork 100% cotton in Green (4) and Sand (30). The hat was knit on US 2 needles and the bootees were knit on US 1 and 2 needles. The hat is sized to 6 months, and the bootees are the large size.